Click brochure for a printable version. 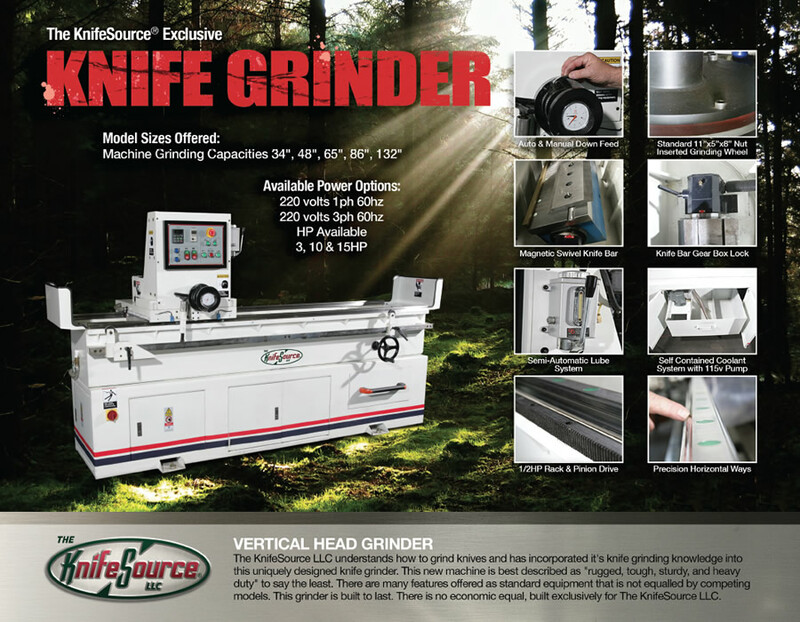 The KnifeSource understands how to grind and re-sharpen industrial knives and has incorporated its knife grinding knowledge into this uniquely designed industrial knife grinder. This knife grinder is best described as "rugged, tough, sturdy, and heavy duty" to say the least. This knife grinder is built to last. 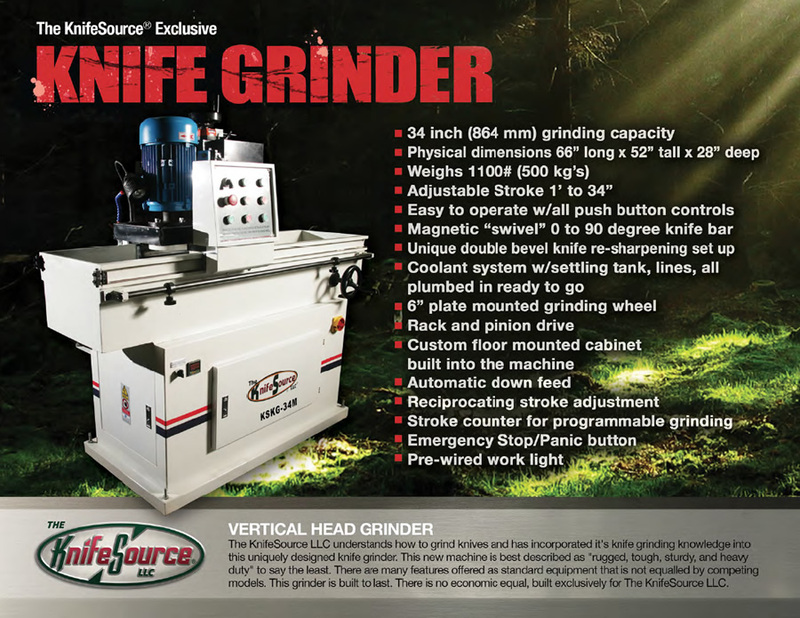 Call us today if you are looking for a new knife grinder that gets the job done.